Arthur built the global Photonic Design Automation (PDA) industry from his fundamental research in semiconductor laser modeling (see http://www.vpiphotonics.com/pda_design ). In 1996 he founded Virtual Photonics Pty Ltd (later Inc) with Phil Gurney, to commercialise OPALS, a software tool for designing optical communications devices and circuits. In 1997 GOLD was launched to an enthusiastic and rapidly-growing market. GOLD (Gigabit Optical Link Designer) was developed in a joint project with Telstra and the University of Melbourne. Phil and Arthur merged Virtual Photonics Inc with BNeD Inc, a competitor out of the Heinrich Hertz Institute (Berlin) that had obtained government funding and VC money, to form VPI Virtual Photonics Inc in late 1998 (known in the industry as VPI, but now officially VPIsystems. VPI has grown by technology acquisition and internal development to be the leading supplier of design tools for communication components, systems and networks (see www.vpisystems.com and www.vpiphotonics.com ). VPI boasts 150 corporations as customers and VPIs software tools are used by over 130 universities for research and teaching. Free software tools are available for teaching ( www.vpiphotonics.com/VPIplayer). Arthur was appointed Chair of Electrical and Computer Systems Engineering, at Monash University (15 km SE of Melbourne City) in September 2004. He now leads the Monash Vision Group, who are developing a Bionic Eye based on a cortical implant ( www.monash.edu.au/bioniceye/index.html ). 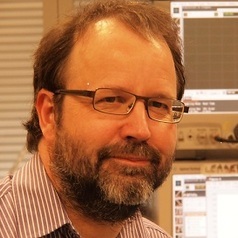 He is also the Science Leader for the Terabit/s Flagship Project in the Centre of Ultrahigh bandwidth Devices for Optical Systems, CUDOS ( http://www.cudos.org.au/ ), and works on all-optical techniques for a greener internet.